While the content of dreams often arises from your brain processing the day's events, your dreams may also be your subconscious or superconscious mind trying to tell you something. This is true in the case of all dreams, including pregnancy dreams, which may be symbolic or literal. Sometimes you may know something subconsciously before you know it consciously. In some cases, a pregnancy dream may be telling you what your subconscious has realized but you aren't consciously aware of yet: you're pregnant. If it's possible you are pregnant and you are having dreams about pregnancy, take a pregnancy test since it's important you get early care. If you get a positive result, contact your doctor. If you already know you're pregnant and you're having pregnancy dreams, this is common, as well. 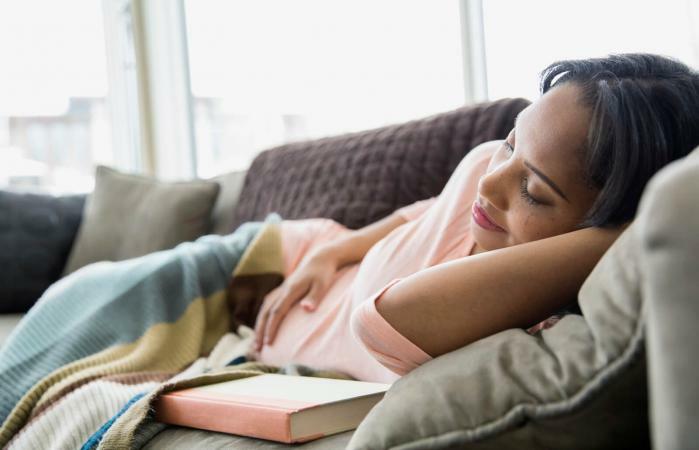 Hormonal and emotional changes, excitement, anxiety, and many other physical and emotional factors affect you when you are pregnant, and this can include a change in how you dream. It's normal for moms-to-be (and even dads-to-be) to have dreams about the pregnancy as you process the big news and prepare for a life-changing event. Sigmund Freud believed dreams were a form of wish fulfillment, and when something appeared in a dream, it was telling you about your deepest desires and wishes. Sometimes when men and women of childbearing age have a dream about pregnancy, it is because they wish to start a family or have a child. In this case, the Freudian interpretation of the dream is still quite literal, even if a man dreams he is pregnant. A pregnancy dream where either you or your partner are pregnant may indicate a desire to start a family. You may be already aware of this desire, or you may not have given it much thought. In either case, take some time to consider the possibility you wish to start a family. Ask if this is true for you and if you feel the timing is right to do so. If the answer is yes, perhaps it is time to start discussing with your partner your desire to have children. According to many experts, including Carl Jung, as well as other methods of symbolic dream interpretation, such as Aisling dream interpretation, dreams can also have symbolic meanings. You don't need to be pregnant or even in a physical state to have a child to dream about pregnancy. Anyone may dream about being pregnant -- even men or post-menopausal women -- and it may have a symbolic interpretation. Pregnancy is a time of growth, development, and change. So when you are pregnant in a dream, it may suggest you are in a period of growth and change. Look to other context clues in the dream to give you more information about what the growth or development is. For example, if you dream you are pregnant and you are at work in the dream, it may be suggesting your career is growing. Likewise, if you dream of a pregnancy with a new romantic partner, it may suggest the development of your relationship. You've probably heard the phrase "pregnant with possibility," which hints at another potential symbolic meaning of a pregnancy dream. In this case, the dream may be telling you that a situation has potential to grow into something positive for you. Again, context clues from the dream may help you better understand exactly what in your life is ripe with potential. At its core, pregnancy is the ultimate act of creation. So another symbolic interpretation of a pregnancy dream may be telling you of a desire to be more creative, it may be hinting that you are more creative than you think, or it may be suggesting you are entering a period of greater creativity or that it's time to seek creative solutions to existing conundrums. Sometimes dreams arise from your subconscious mind processing what has happened during your day. However, at other times they may be offering valuable insight. When you dream of being pregnant, consider the various possible interpretations to see what your dream is trying to tell you.